Performing A Marriage Ceremony In Alaska? How do you get ordained to perform wedding ceremonies for your friends and family in Alaska? Getting ordained is simple, legal, inexpensive and takes just a few minutes! Minister ordination for Alaska includes authorization to legally perform all of life's celebrations, including marriage ceremonies (weddings), baby blessings (baptism), house blessings, re-commitment ceremonies (vow renewal), memorials (funerals), handfasting, and other rites and rituals. Ordination as a Marriage Officiant and ceremonial minister complies with all state and local laws in Alaska and is valid and accepted throughout the United States and everywhere around the world! The laws in Alaska make it unnecessary for persons performing marriage ceremonies to file their credentials with any state or local agency, but you must hold a current and valid minister's license to perform such rites; in addition, you must present your credentials to any legal authority and/or the parties to the marriage upon their request. In Alaska, ordination or investment by the Church gives each clergy member the authority to perform the marriage rite. 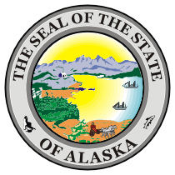 Alaska and local officials in the state are removed from any responsibility for verification of minister credentials. Alaska does not maintain a central registry of members of the clergy, and you are not required to undergo any specific formal training. Not a resident of Alaska? Alaska does not restrict legally ordained non-resident Marriage Officiants from performing wedding ceremonies anywhere in the state. Ordination Fee: We offer low-cost ordination (accepted throughout Alaska) for a nominal fee that covers our basic printing costs and any shipping charges, which is generally a fraction of how much you can earn by performing just one ceremony! To view ordination credential samples, please click here. Already ordained? Don't start over! Renew your ordination now. Please enter the full, legal name of the person being ordained as it should appear on the documents. Please select your preferred ordination package. All ordination levels permit you to perform marriage ceremonies anywhere in Alaska. Each ordination level complies with all state and local laws and is accepted throughout Alaska for resident and non-resident Marriage Officiants. Prices shown in US dollars (US$). Includes personalized ordination certificate, Alaska marriage law guide and all forms and documents required to perform one marriage ceremony anywhere in Alaska. Includes personalized ordination certificate, letter of good standing, minister credential ID card, Alaska marriage law guide and all required forms and documents. Complete ordination permits you to perform an unlimited number of ceremonies in Alaska and most U.S. and international locations without restriction during your ordination term. To view document samples, please click here. * — Viewing PDF copies requires additional software, such as Adobe Acrobat or Foxit PDF Reader (available at no charge).